I don't get around to downloading pictures from my game camera very often, but I did it today. 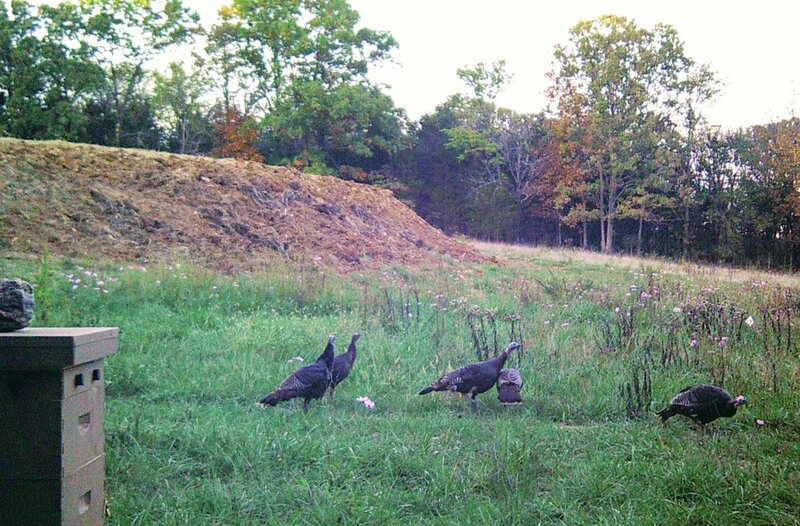 Among other interesting photos was this shot of a group of turkeys walking through my bee yard. As I began to type this, I initially wrote a "flock of turkeys." But a little fact-checking revealed a group of turkeys is referred to as a "rafter." I guess it makes sense because when you look up the word "raft" in the dictionary, one of the definitions is a "large amount of something." So I learned a new thing today. And there's a good chance I'll forget it tomorrow.